"Mark Percival, who has scored 20 tries this season, looks overpriced to get his name on the scoresheet for the second year running in the semi-finals." St Helens can beat Warrington Wolves for a fourth time this season and book their place in next Saturday's Grand Final. 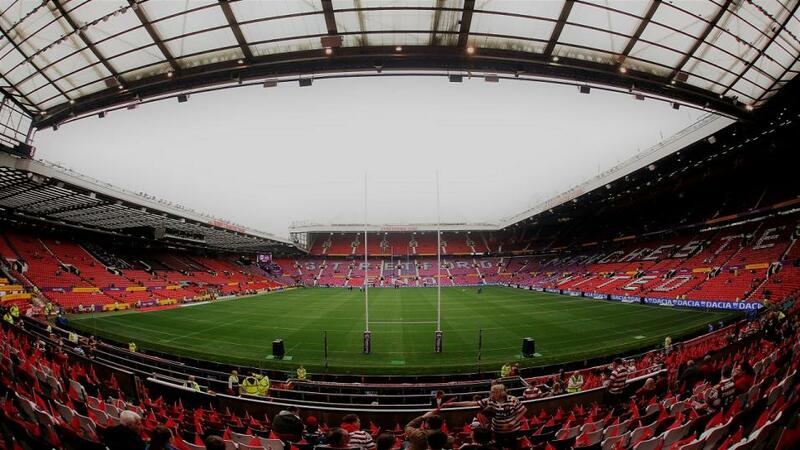 Justin Holbrook's side have had Old Trafford in their sights right from day one when routing last season's losing finalists Castleford Tigers 46-6 in their opening game on Merseyside. Much like the Tigers last year they have dominated proceedings in the regular season, losing just four games as they captured the League Leaders' Shield, with two of those defeats coming in the much-maligned Super 8s. They are on a winning run of four and beat the Wolves for the third time this year 34-14 at the Halliwell Jones a fortnight ago. Seven Saints players are named in the 2018 Dream Team, including Mark Percival, who has scored 20 tries this season. He looks overpriced at 6/4 with the Sportsbook to get his name on the scoresheet for the second year running in the semi-finals. Warrington are following a similar path to last year's Champions Leeds in reaching the semis having found themselves in the Qualifiers twelve months previously. They finished fourth and 15 points behind St Helens in the league but should relish being the big-game underdogs for once having disappointed when favourites in the Challenge Cup Final in August. They should produce a much better performance than that flat effort at Wembley but it would be some turn up if it was them running out at Old Trafford. Both teams should be pretty much at full strength, with Jonny Lomax, Luke Thompson and Jon Wilkin back for Saints having been rested last week, while half-backs Kevin Brown and Tyrone Roberts return for Warrington along with centre Tom Lineham, their top-scorer this year with sixteen tries. Saints are the likely winners, but it could be closer than the formbook suggests. Back them to prevail by 1-12. Castleford Tigers will need to do it the hard way if they are to get to the Grand Final for the second year running, but a four-point start makes them the bet on Friday. Backers shouldn't read too much into their nilling at St Helens last week when under strength. You only have to think back a short time to the Challenge Cup-winners Catalans and their two heavy defeats prior to Wembley, when shipping a total of 91 points when resting players, having been in tremendous form, to know that a well-drilled side will get the result that matters. The nightmare Daryl Powell's team suffered on their first visit to Old Trafford twelve months ago will be spurring them on, and, now just eighty minutes away from Manchester again, you suspect they'll be a real test for Wigan. Captain Michael Shenton, Greg Eden, who had scored twelve tries in five games prior to his absence last week, and Mike McMeeken are back. Wigan became the first (and last) team to win all seven matches in the Super 8s with an error-strewn 14-12 success over Hull. They've been fantastic on home turf this season, losing just once, to St Helens. They also welcome back their captain Sean O'Loughlin, as well as Sam Tomkins and Tommy Leuluai, in what will be coach Shaun Wane's final game at the DW Stadium. The score between the sides this year stands 2-1 in Wigan's favour but the last two meetings have been settled by one and two points. In what could be a war of attrition we'll take the Tigers to reward us on the handicap at worst.